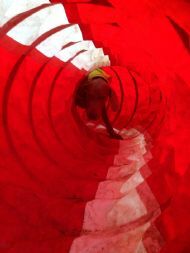 There are many different activities you can try at Canine Concerns, giving you great opportunities to meet fellow dog lovers and enjoy lots of fun with your dog. Do you find it difficult to get your dogs attention? Does your dog struggle with lots of distractions outdoors? Do you want more focus or a better relationship with your dog? 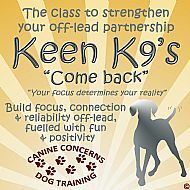 This is the class to build that connection & work towards that off-lead reliability you have always hoped for in your dog. All fuelled with fun & positivity. 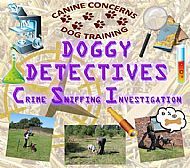 Our 2 day Doggy Detective "Crime Sniffing Investigation" workshops are based on scent work and fun games. Work as teams to face challenges, tackle obstacles & find hidden clues to solve a mystery. These workshops will make you realise just how much fun you can both have working together, with plenty of entertainment thrown in for the humans too. Here at Canine Concerns we are qualified scentwork trainers & sniffing mad - we love it! All dogs love to sniff & explore their surroundings, it comes completely naturally. Why not work with your dog & teach him to use his nose, explore & find things for fun. 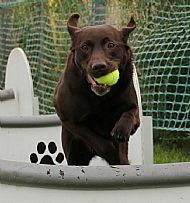 Great for confidence & building bonds between dog & handler, this activity is suitable for all breeds, ages & fitness levels. Nose work uses a lot of mental & physical energy without the high impact aspect of many other dog activities - perfect for the young & old.